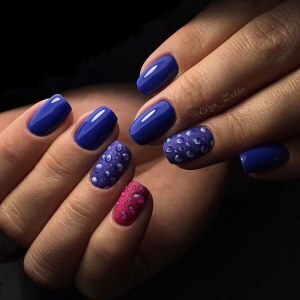 Beautiful blue nail design with caviar beads and rhinestones. 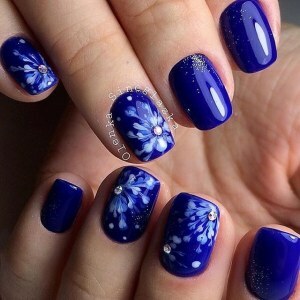 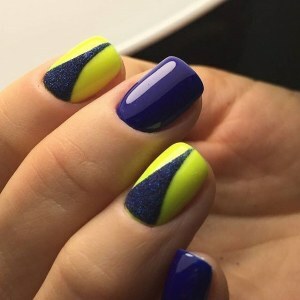 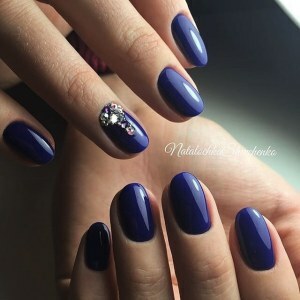 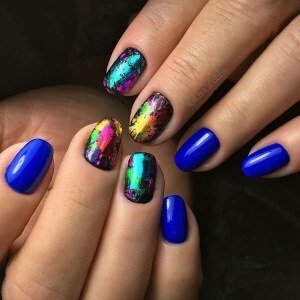 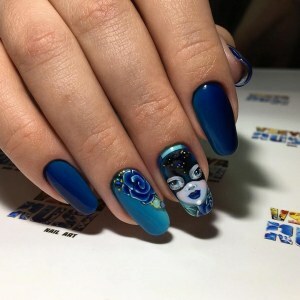 Blue nails with gel drops and accent on the little finger of the right hand. 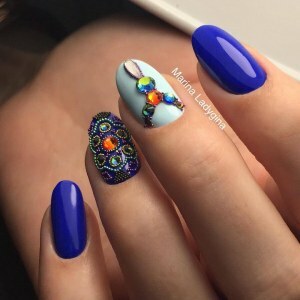 Winter theme: Teddy Bear, mittens, blue and white gel varnishes.